Sting will release an album of new songs next fall, his first full-length LP of original material since 2003's "Sacred Love," his publicist said. The album, "The Last Ship," grew out of the songwriting Sting has been doing for a musical of the same name, which the producers hope will run on Broadway in 2014. That play is set in a shipyard in Wallsend, England, near where Sting, born Gordon Sumner, spent his youth. "The Last Ship" will contain several songs used in the musical, as well as a few others Sting wrote for the play but decided not to include. It will be released on Sept. 24 by a consortium of three labels - Cherrytree, Interscope and A & M Records. 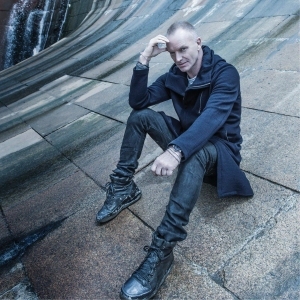 Sting, 61, has been working on the musical for nearly three years, collaborating with the writers John Logan ("Red," "Skyfall") and Brian Yorkey ("Next to Normal"). It is a homecoming story set against the backdrop of the decline of the shipbuilding industry in Newcastle during the 1980s. The show will be directed by Joe Mantello, the actor and director best known for "Wicked" and "Other Desert Cities." It had a closed-door workshop and presentation in May for theater producers and other potential investors. One of the best rock songwriters of his generation, Sting has a string of 17 Grammy Awards to his credit for songs like "Every Breath You Take," "Don’t Stand So Close to Me" and "Brand New Day." But in recent years he has been in a prolonged writing slump. Since releasing "Sacred Love," he has released greatest-hits compilations and a few unusual recording projects: an album of covers of a Renaissance lute master in 2006, a holiday album in 2009 with a few originals and a symphonic album in 2010 with orchestral arrangements of his previous work. The songs on "The Last Ship" were written to advance the play's plot, and so they hew to story-telling needs. The title song is a waltz-time folk tune, heavy with Christian imagery and told in a Northern English dialect. It freights the launching of the last ship from the yard with spiritual significance. Another song, "And Yet," is a jazzy funk number, sung from the point of view of a sailor arriving in his home port and wondering about a woman he left behind. "Dead Man’s Boots," meanwhile, is a tense dialogue between a father who works in the shipyard and a son who wants to do something else with his life. I was fortunate enough to win the fan contest and get to see the run through of Last Ship in NYC. The play was fantastic--I had said "Oh this is the story of "Soul Cages!" --and the new music was wonderfully thoughtful and full of emotion. Cannot wait for the album to come out as well as the Broadway play! One of the greatest joys in my life is listening to a new Sting album. Thank you, Sting! We are sure to be illuminated. Like your lyrics, let's hope The Last Ship is not metaphorical. More Sting, please. Could I BE any more excited?!? Thank you! Thank you! Thank you, Sting! New music to illuminate us.